cut party tour, tonight in indy! obviously i don't come around these parts so often anymore or i would've already posted about tonight's show at melt house! (or, for that matter, about this past sunday's show in muncie.) i believe this will be my first hometown appearance in three years, and this will also be only the second time i've performed material from my upcoming full-length data sound release—tentatively titled on the DLL and due for release sometime this year (perhaps summer). so if you're a fan of my true data 12", you're going to want to hear the new stuff. 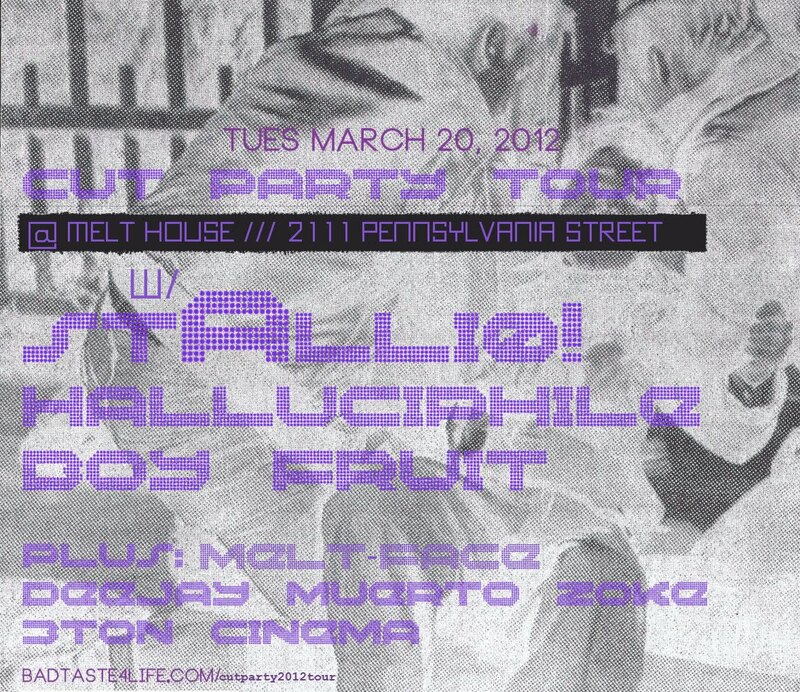 also on tonight's bill: chicago's halluciphile, touring act muerto zoke vs 3ton cinema, and melt face. the latest word is that cincinnati's boy fruit may not be able to make it, but this is still a must-see lineup for fans of noisy, experimental electronics.